Grace is swept off her feet by Jack, who promises to build her a dream home and take care of both her and Millie for the rest of their lives. But shortly after Grace and Jack are married, Grace learns she never really knew Jack at all, and is forced to rely on and conspire with Millie so they can both stay alive or else face long, tortured lives BEHIND CLOSED DOORS! 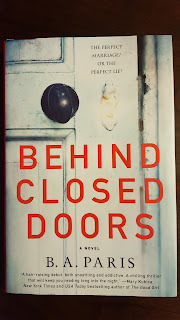 Everything about Behind Closed Doors appealed to me when I found it at the bookstore. It just screams drama and sinister wrong-doings. Author Paris has a knack for writing compelling prose, which made it incredibly easy for me to lose time with this novel and keep reading long into the night. 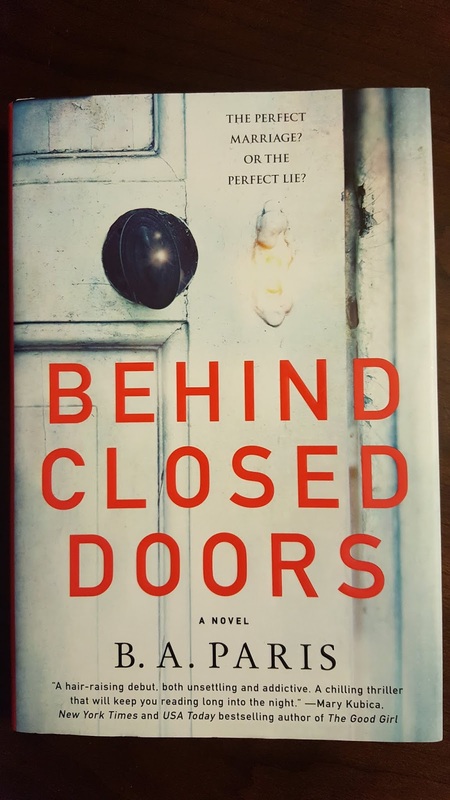 Behind Closed Doors may be a bit unbelievable and unconvincing, but is definitely worth your time if you're into the thriller / suspense genre. It's creepy and nerve-wracking, and will have you desperately rooting for the underdog. Its ending is highly satisfying — a major bonus! With many books I read, I find that the journey is amazing, yet the ending falls flat. But with Behind Closed Doors, the ending will have you closing the novel with a smile and thinking about who to pass the book along to next. Two for the price of one, what a deal! I love when novels offer satisfying endings after I've invested so much of my time into them! I'll admit there were times throughout the novel I felt like I was reading an adaptation of an original Lifetime Channel movie. So much drama! But I do love me some original Sunday Lifetime movie drama. Other novels written by B.A. Paris include The Breakdown and Bring Me Back.